Are you still looking for last-minute gifts for friends and family? I saw these angels on the internet (but don't remember where! 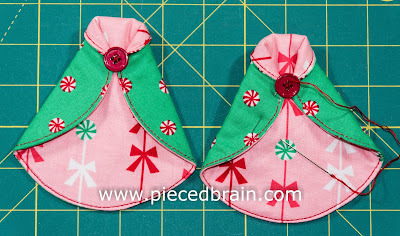 ), figured out how to make them and made a tutorial, too. You can make a bunch at a time and will need very few materials. Layer the batting, one fabric right side up and another wrong side up. 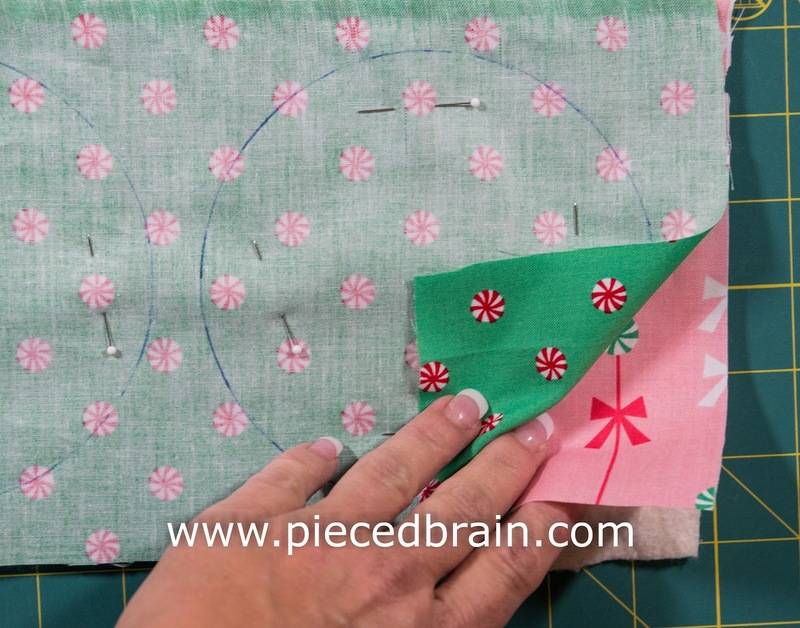 Using a CD, trace circles and pin them as shown on picture above. 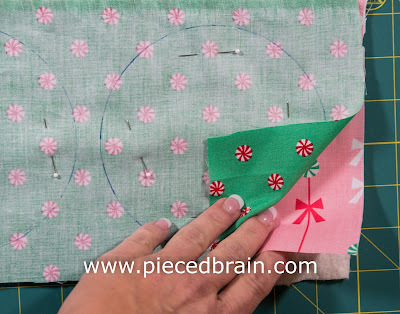 Using Aurifil 50 wt (or the thread you have on hand) stitch on the circle outline and trim 1/8" outside the circle. 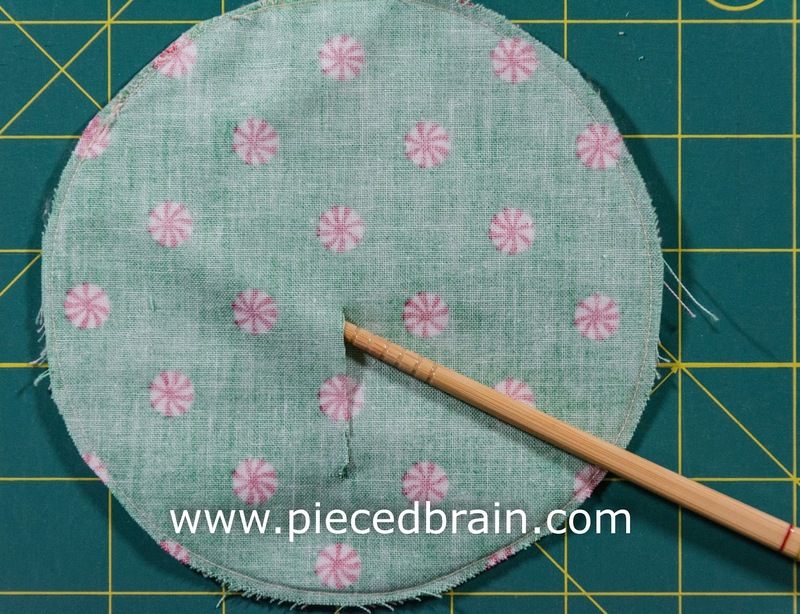 Carefully cut a slit on the top and flip circle inside out (batting will be sandwiched between fabrics). Using a chopstick or bodkin, smooth curve and press. 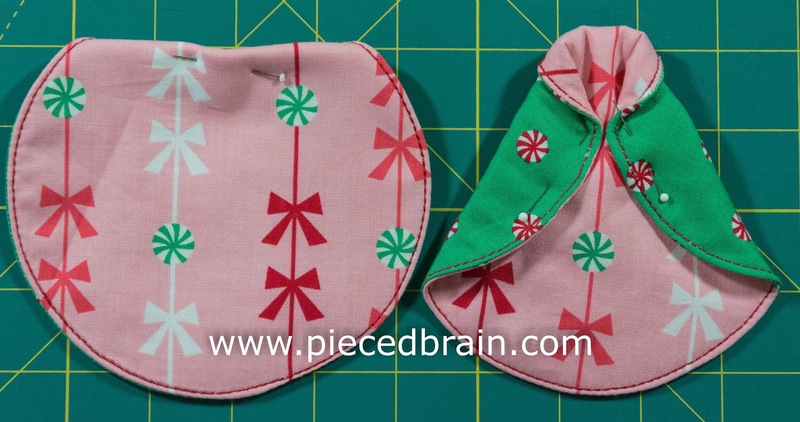 Cut hearts out of the felt and glue them onto the slit you made, to cover it. 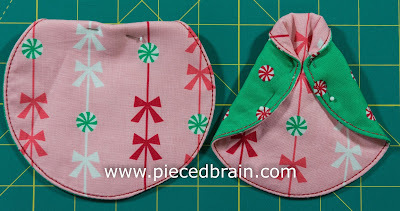 With the inside fabric facing you, fold about 1/2" of the circle towards the back. Secure it with a pin. 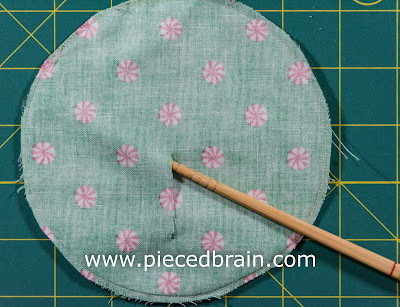 Then, fold circle sides toward you (you will need to remove the pin from the top) and pin sides in place. Sew buttons to 'neck' of angel with matching thread. From batting, cut a heart to use as wings, and the head. 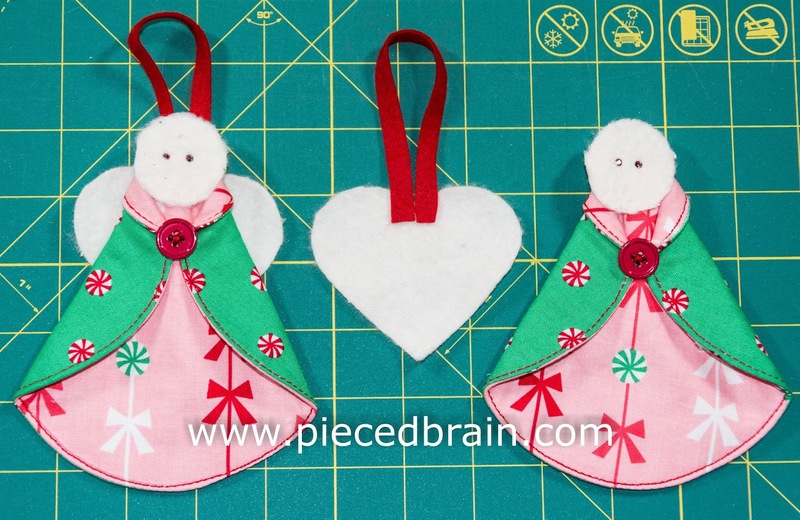 Cut a 6" piece of ribbon, make a loop and glue it onto the heart as shown above. 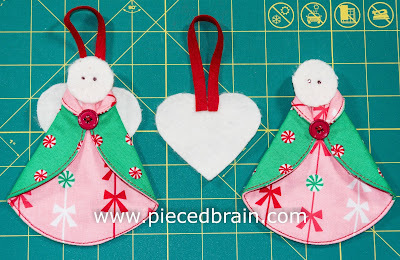 Then, glue ribbon side of heart onto back of angel. Glue head onto the body. Glue crystals and gently rub crayon on cheeks. Easy and quick. You can make them in country, primitive, modern, or traditional style by changing the fabric combinations, using string instead of ribbons, painting eyes, etc. 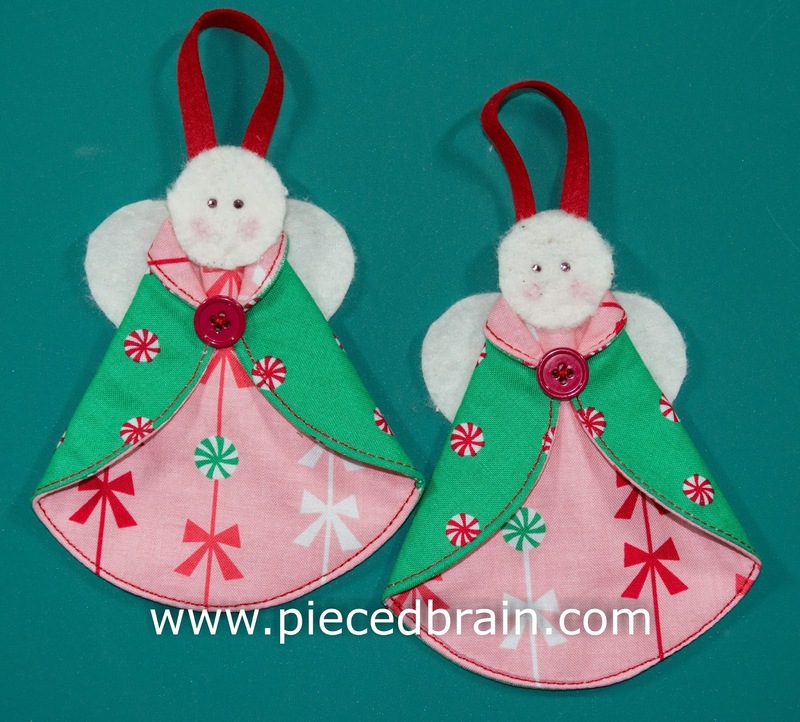 Use your imagination and customize the angels to your desired look. I hope this tutorial was helpful. When you make them send me photos so I can post them here. Thank you! They are so fun to make!